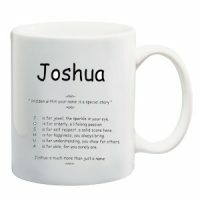 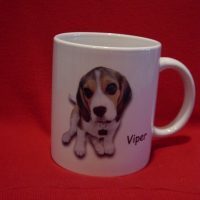 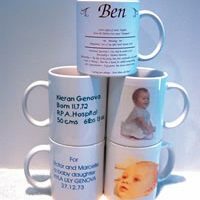 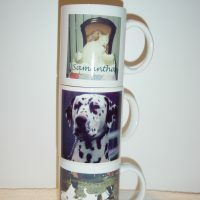 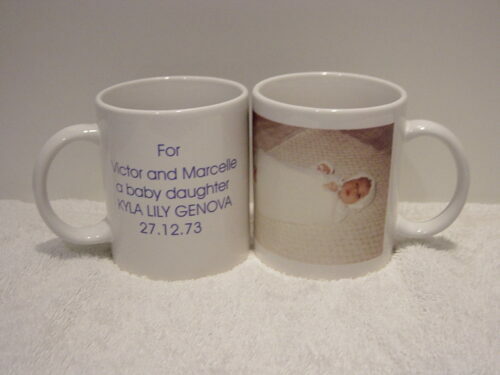 We can print a mug with names of grandparents on a quality ceramic mug together with the birth details on the reverse side. 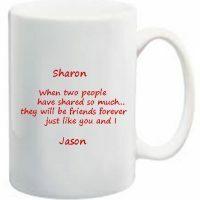 Machine washable but like anything delicate best hand washed. 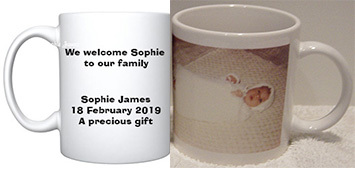 Simply upload your photo together with the birth details. 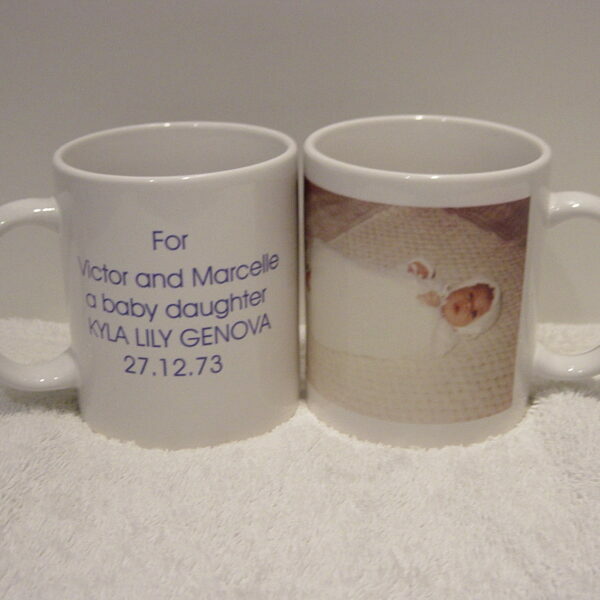 A lovely keepsake for grandparents. 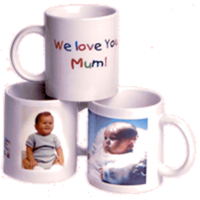 We are located in Sydney. 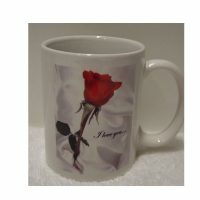 Postage through Australia post Australia wide.